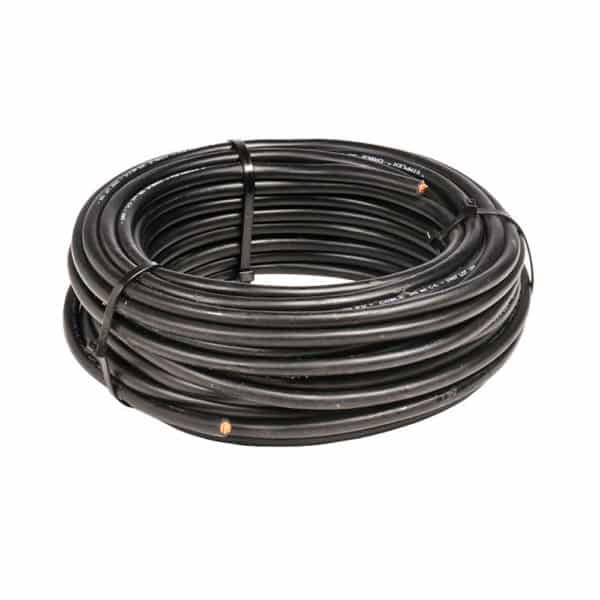 Highly flexible, insulated cables with excellent mechanical resistance. 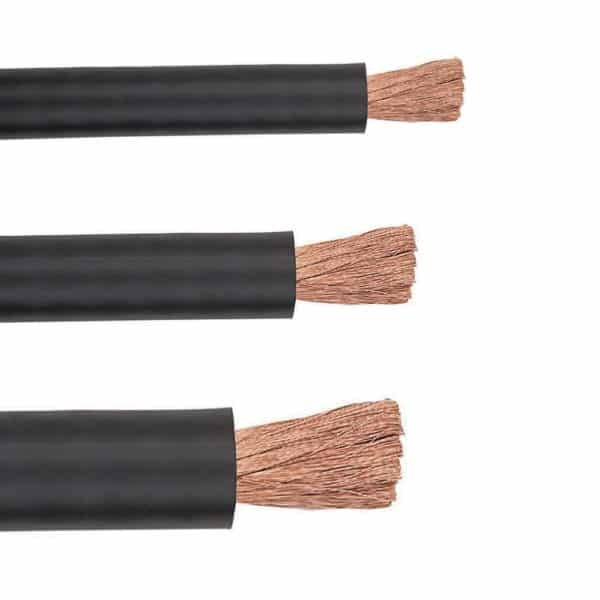 The purity of the material, the number of capillaries and the cording pitch determine the conductive capacity of the cable. To reduce the effects of alternating current on the voltage drop, the two cables forming the welding circuit must be kept as near as possible. During operation, the welding cables must not be coiled. Special plug for panel connection of the ground cable and clamp to welding circuits. Brass body. 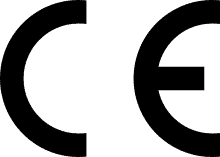 Cable clamping is carried out by means of a hex screw. Mobile socket for connecting the ground cable and clamp to welding systems. 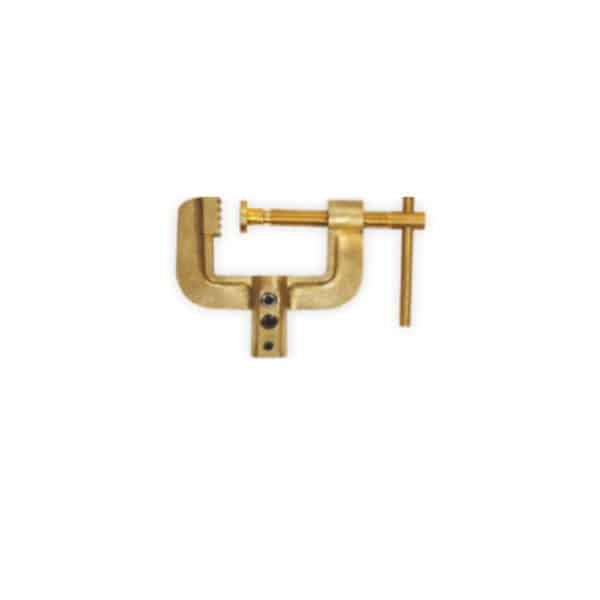 Brass body and rubber heat-resistant knob. 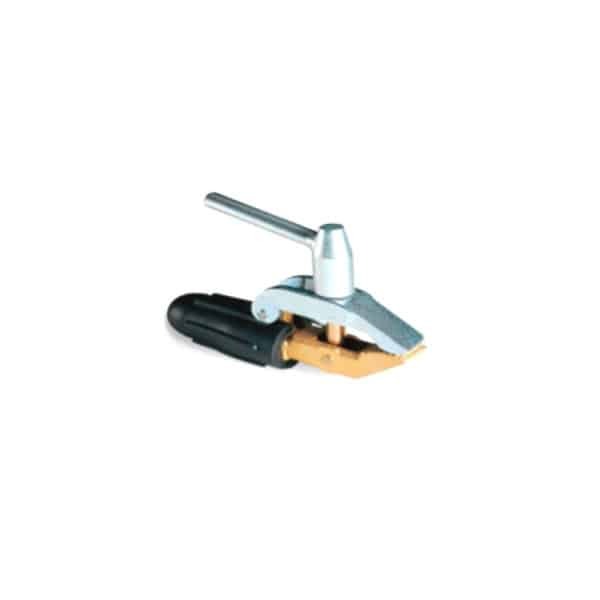 Cable clamping is carried out with an Allen grub screw. Mobile plug for connecting the ground cable and clamp to welding systems. Brass body and rubber heat-resistant knob. 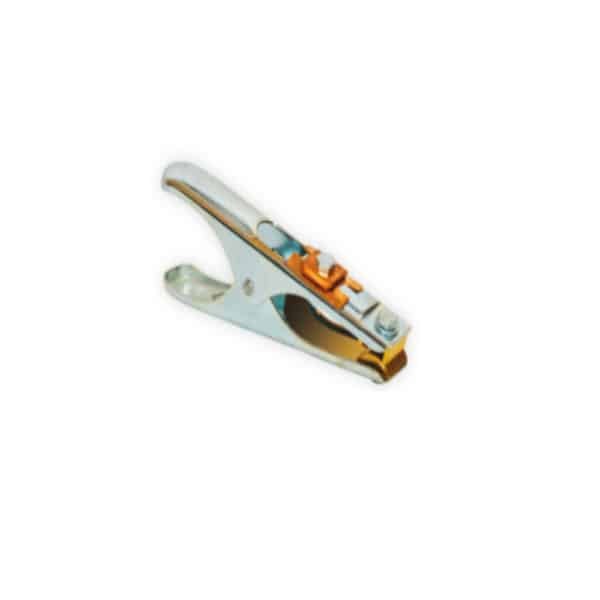 Cable clamping is carried out with an Allen grub screw. Ground terminals are essential accessories for good welding. 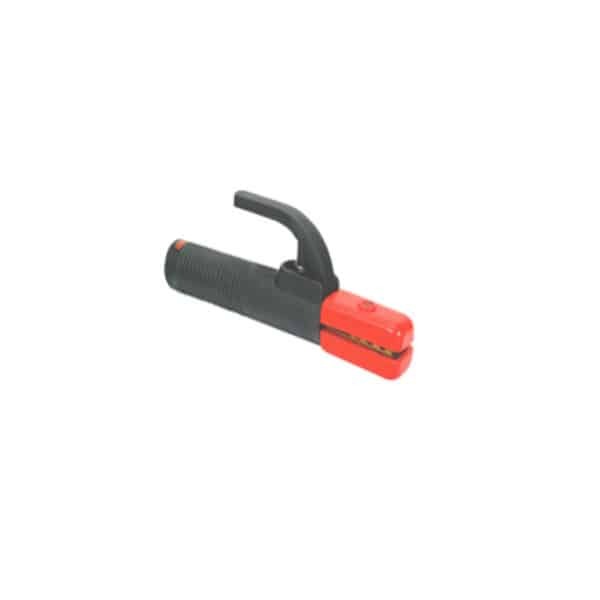 It is the ground terminals that ground the piece and allow welding arc formation. 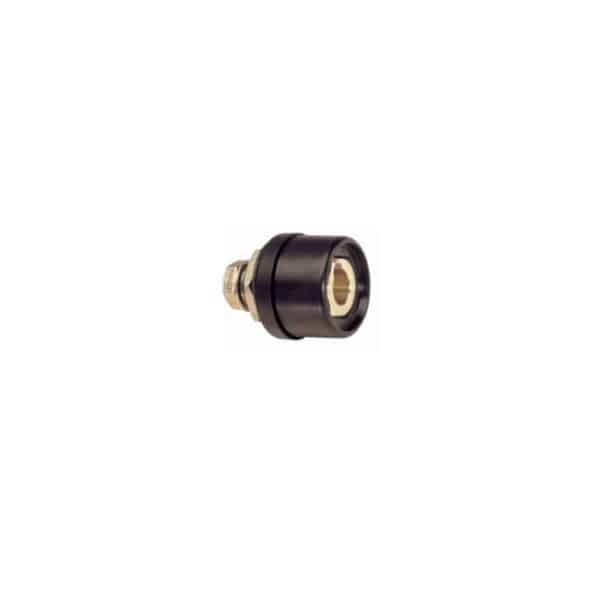 Oxyturbo offers a wide range of ground terminals to meet the various needs of different fields of use. To choose which terminal to use, check the maximum amperage used and the type of contact. For light works, a CC or NT terminal can be used, while SC or CMP series terminals are preferable for heavy or intense works. 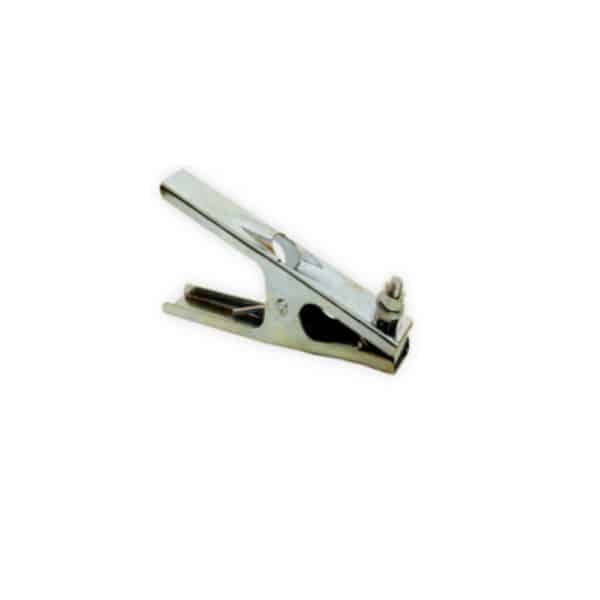 Clamps should be selected in proportion to the maximum electrode diameter to be used. 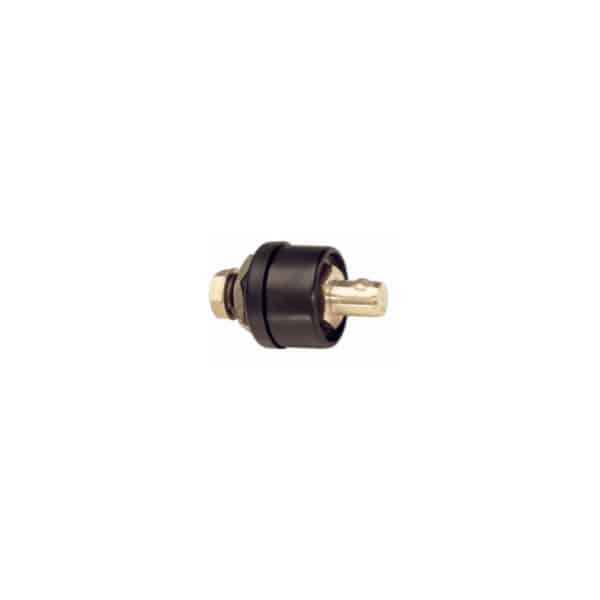 The maximum amperage accepted by the clamp and the minimum diameter of the cable to be used depend on this diameter. 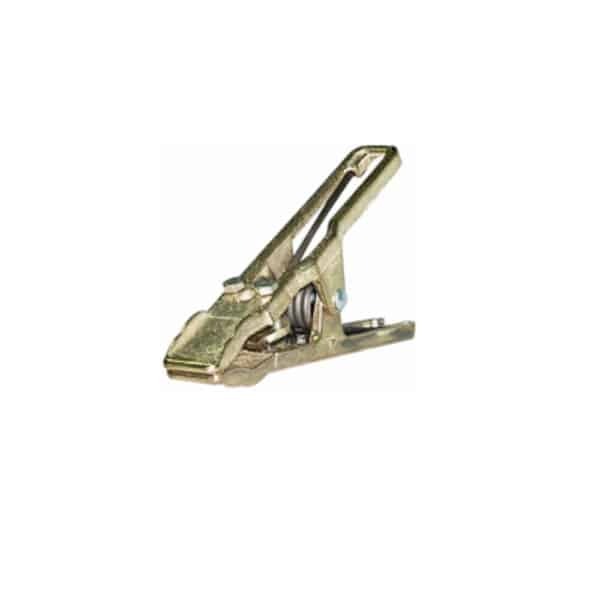 Ergonomic handgrip with anti-slip notches and brass jaws. Easy to use, even at high current values. Allows you to tighten the electrodes in 9 positions. 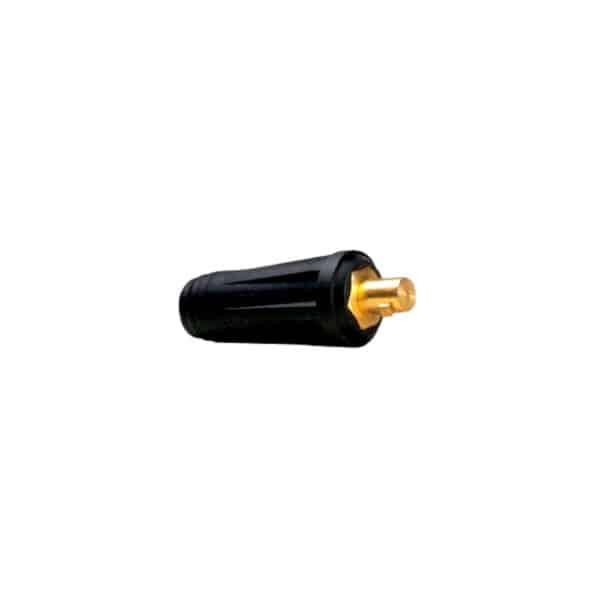 Highly flexible, insulated cables with excellent mechanical resistance. The purity of the material, the number of capillaries and the cording pitch determine the conductive capacity of the cable. To reduce the effects of alternating current on the voltage drop, the two cables forming the welding circuit must be kept as near as possible. During operation, the welding cables must not be coiled. 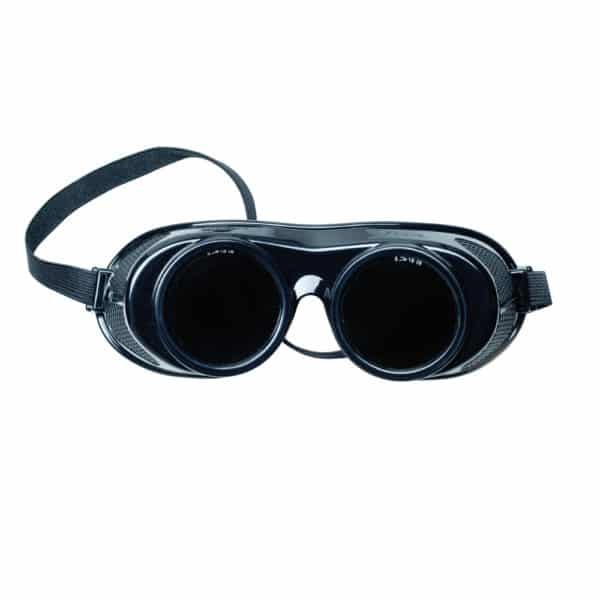 Protective goggles made of soft, heat-resistant material. These protect against impacts, UV rays, infrared (IR) rays and glare generated by welding processes. The lenses are made of green IR 5 glass with a diameter of 50 mm. The fabric elastic ensures an excellent hold on the operator's face. The side openings provide good internal ventilation that increases comfort. Glass is standard size 75 x 98 mm. 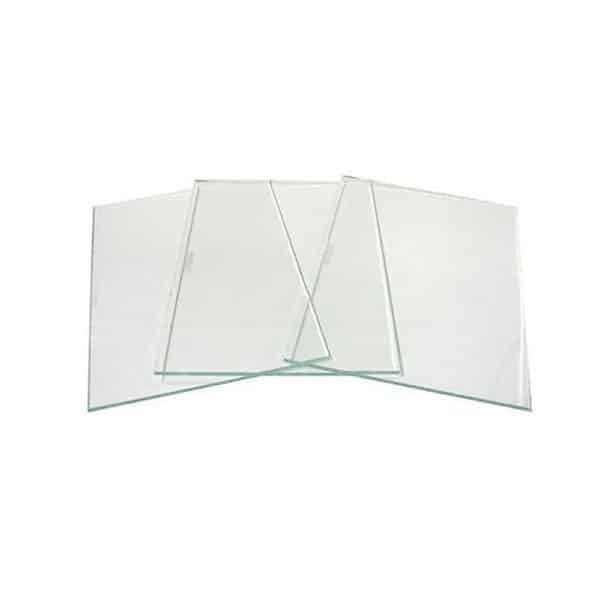 We offer 3 different types of glass depending on welding needs, with various DIN shielding degrees.